Personal data should be relevant to the purposes for which it is to be used, and, to the extent necessary for those purposes, should be accurate, complete, and up­to­date. However, you can still browse the website. The Fair Information Practices Principles form the backbone of privacy law in the United States and the concepts they include have played a significant role in the development of data protection laws around the globe. Understanding the Fair Information Practice Principles and how they should be implemented is critical to comply with the various privacy laws that protect personal information. In order to be in line with Fair Information Practices we will take the following responsive action, should a data breach occur: We will notify the users via email within 7 business days. 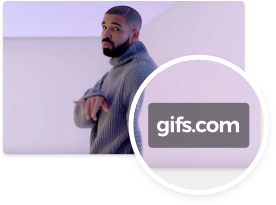 If at any time you would like to unsubscribe from receiving future emails, you can email us at support@gifs.com and we will promptly remove you from ALL correspondence.